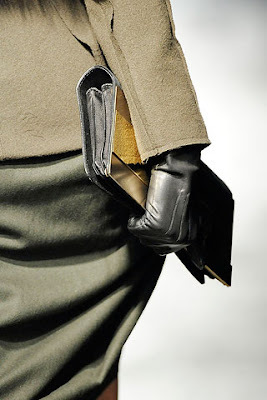 I am quite taken with the pictures of the Lanvin Fall 2009 collection, just shown in Paris and designed by Alber Elbaz. This collection looks very beautiful, romantic, wearable, French. 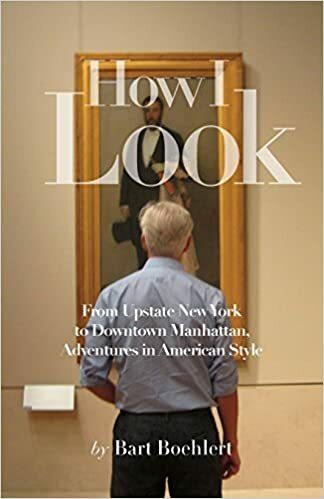 Cathy Horyn at The Times writes about it here, and you can see the collection here. Jeanne Lanvin had a daughter Marguerite who married Comte Jean de Polignac, from one of the oldest and grandest families in France. 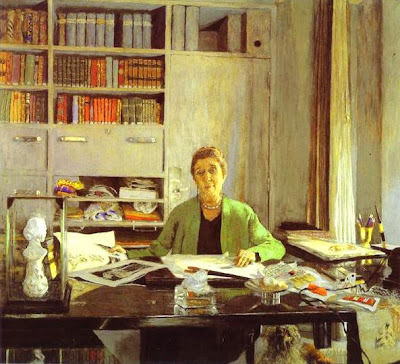 Below is Marguerite, Comtesse de Polignac, at home in her apartment in Paris, also painted by Vuillard. It's one of my favorite paintings of an interior. I love the airy proportions of the rooms, the floral wallpaper, the leggy furniture, the leafy trees through the window. She looks contented and relaxed at home. 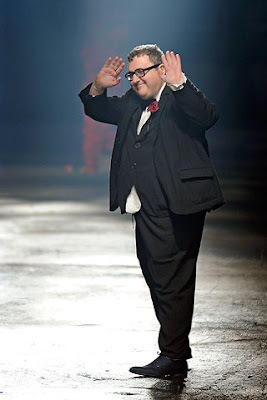 Since 2001, Israeli-born Alber Elbaz has been the creative director at Lanvin which is now also popular for its menswear. The Fall 2009 collection is very glamorous, with clothes cut close to the body on the bias. Draped and fitted, the pieces are like sculpture that flatter the figure. Very structured, very chic, and easy to put together -- just toss on a fur shrug, and voila, out the door! 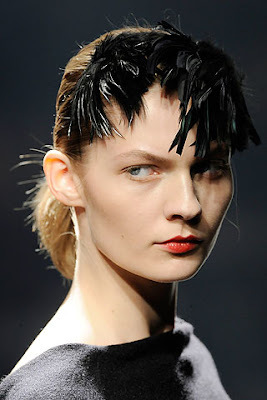 Feathers on a headband offer a touch of mystique. 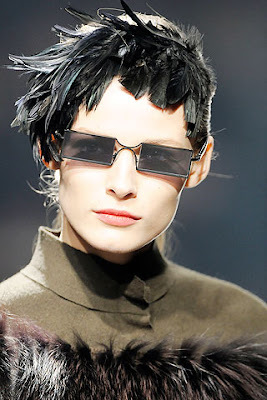 Rectangular sunglasses evoke Peggy Guggenheim. 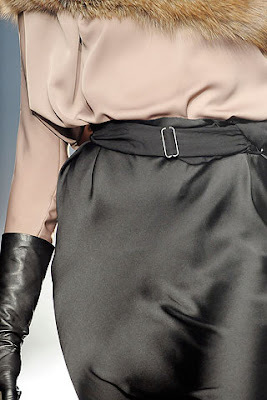 Long black leather gloves accentuate the slender line. A slim envelope is the opposite of a ginormous "It" bag. Monsieur Elbaz takes a well-deserved bow. Love it all! I especially adore the long black gloves. I have a few pairs I've found in thrift stores... they're pretty much unavailable anywhere else at a reasonable price.